This year marks the last season the Warriors will play at Oracle Arena in Oakland before making the move to the brand-new Chase Center in San Francisco. Because of this, Klay Thompson said the team is especially motivated to win an NBA title for a third year in a row for the fans who have been there for them. "We want to do it for the fans of Oakland," Thompson said, via ESPN. 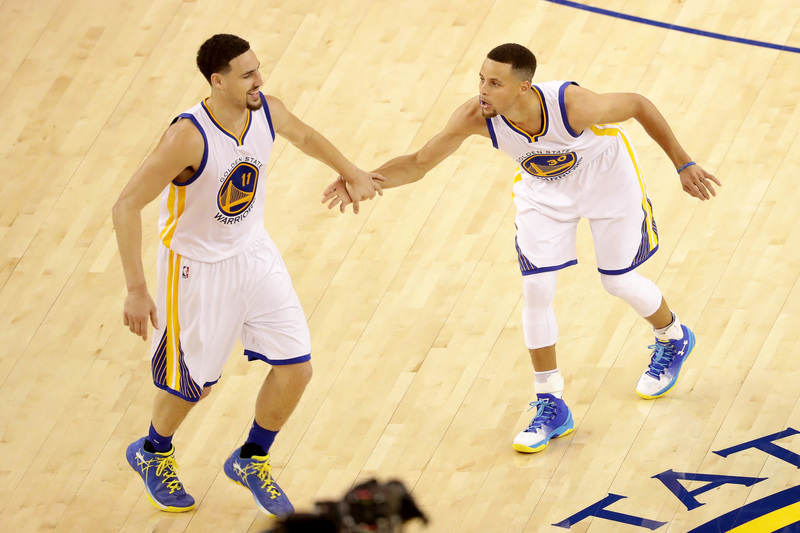 "Been so loyal to us for 40-plus years, whatever it's been since they've been in Oracle. So that definitely helps with this season. It's leaving a big legacy behind in Oakland because people might not get to see us as much in San Francisco. And just enjoying this every night. "We have such a special group. We play in front of such amazing fans. And every game is so much fun because it's such an amazing atmosphere. It's not like we're playing in front of six or seven thousand people a night. It's sold out. It doesn't matter who we play, preseason, Finals. It's easy to come to work when you've got a fan base like we have." For Thompson and Stephen Curry, both of whom have spent their entire careers with Golden State, the move will usher in a new era and will give them a chance to win their fourth title in five years, possibly at Oracle Arena. "I think this year is about obviously representing that to the highest honor, celebrating it, trying to go out in style with one more championship and then obviously turning the page. But right now, this year is going to be really, really memorable, and I think we have an extreme opportunity to create a dope story around the last year in Oakland." The Warriors have played at Oracle Arena for the past 47 seasons and coach Steve Kerr admitted the move across the Bay will be a little sad for the team. "It is bittersweet," Kerr said. "The new arena's going to be amazing, and we're all excited about that, but we're all bummed to be moving on from Oracle. So we would love to finish it the right way. It's hard to replicate an atmosphere like Oracle's. I think back to the Boston Garden, going to the new Garden. The old Chicago Stadium where I played to the new one. It's hard to create that same sort of intimacy when you're building a new arena with suites and concourses and everything else. "So we know this new arena's going to be great for our organization, and it's going to provide an incredible viewing experience for people coming in, but that doesn't make it any easier to leave Oracle." The Warriors will begin their championship run Tuesday when they open the season against the Thunder.